The painting of Maharaja Ranjit Singh at Darbar Sahib if full of interesting details and important historical information. From the location, to the people to the scriptures, everything depicted has a story to tell. 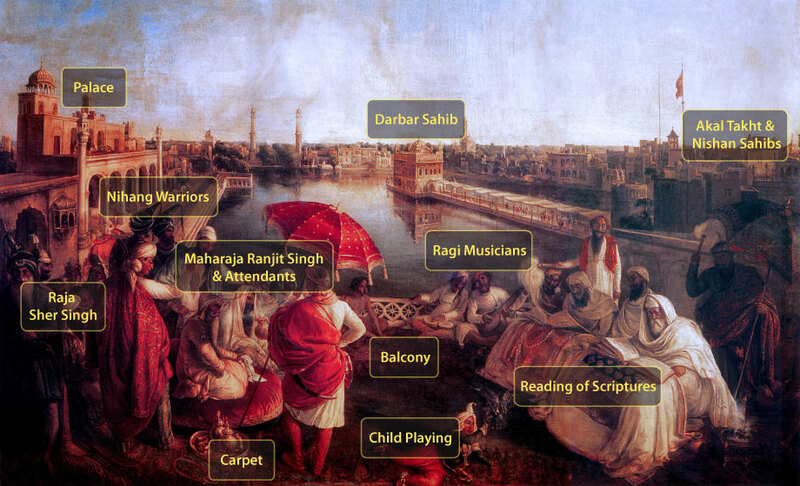 Read the stories and analysis of various parts of the painting by clicking on a section below.